Christ is risen from the dead, trampling down death by death, and unto those in the tombs bestowing life. We won’t sing it again until Pascha. 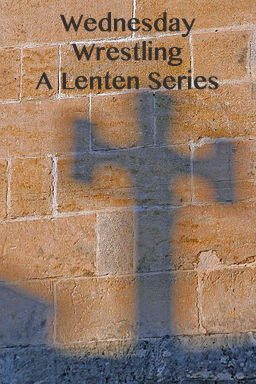 Orthodox Christians don’t enter into Lent with ashes; they enter into Lent with forgiveness. Yes, there is penitence, but there is also the freedom and grace of forgiveness. There is also the reminder of what will come at the end of these trying forty days: our celebration of the risen Christ. We are entering kairos time now. We are entering the end of Jesus’ life. We will relive his last days. We will fast and attend umpteen extra services and attempt to simplify our lives. We will be physically inconvenienced in order to be spiritually renewed. But I have a confession to make. I didn’t make it to Forgiveness Vespers last night. So there. I’m already wrestling. I can give you reasons, but they would probably sound like excuses, so I won’t. But I’m wrestling with guilt and with balancing the demands of home/work/church and how much those demands can help or hurt my spirit. Today is what we call Clean Monday, and this week is called Clean Week. This week, many Orthodox Christians will clean their homes thoroughly, go to confession, and eat simply. Clean Monday is actually a holiday in Greece. It’s a snow day for me today, with Nashville streets frozen over with ice. I can already tell you that I will struggle to be spiritual today. Snow days, in my mind, are for laziness and relaxing. (And I will probably take a nap at some point because I didn’t get to sleep until 2 last night!) But I will make an effort to recognize the beginning of Lent. The kids have a very simple countdown craft: a paper chain, with 40 chains, each with the name of a person they want to pray for on it. Each day we will tear off a chain and include that person in our prayers. Oh, and also, hopefully this will get us back in the habit of evening prayers again, because newsflash: we’ve been neglecting them since Christmas. Also, I will let the kids help me change the cloth on our home altar. The liturgical color for Lent is purple, the color of passion, the color of suffering. I think it is also the color of wrestling. This is what faith is: Wrestling to believe when so many things around us and in us point to unbelief. With that, I introduce my Wednesday Wrestling series. Each Wednesday during Lent, you will hear from a guest blogger who will share an experience of wrestling. May their stories encourage you. May their stories tell you that you are not alone. May their stories give you affirmation of your human experience: an amalgam of struggling and suffering, meaning and hope. You’ll hear from Susan Cushman, Briana Meade, Esther Emery, Caiobhe from The Hope Diaries, Susan Marquez, Mary Evelyn Smith from What Do You Do, Dear, and more. I hope you will join us. Share your wrestling experiences in the comments each Wednesday, or tweet them out using the hashtag #WedWrestling. See you on Wednesday!